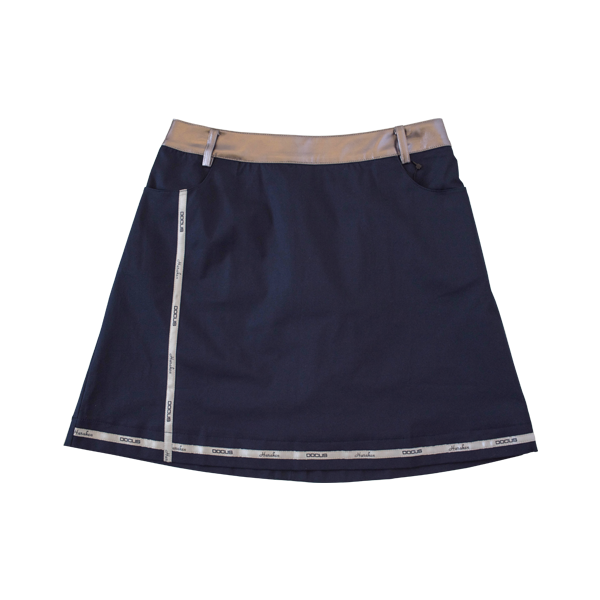 Ladies skirt that has the elegant shiny of west part and DOCUS original tape on front. The silhouette A line shows your legs to thin, so it emphasized femininity! There is the seal wax in the back pocket as an accent! 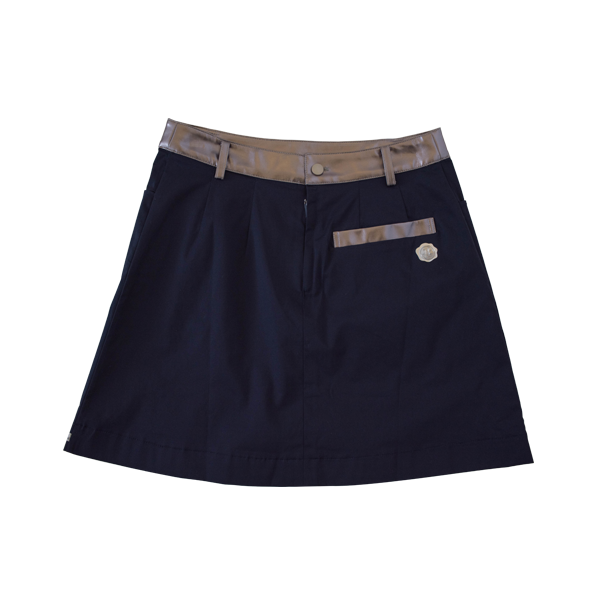 It is hard to see through and you can play golf comfortably with excellent stretch function!